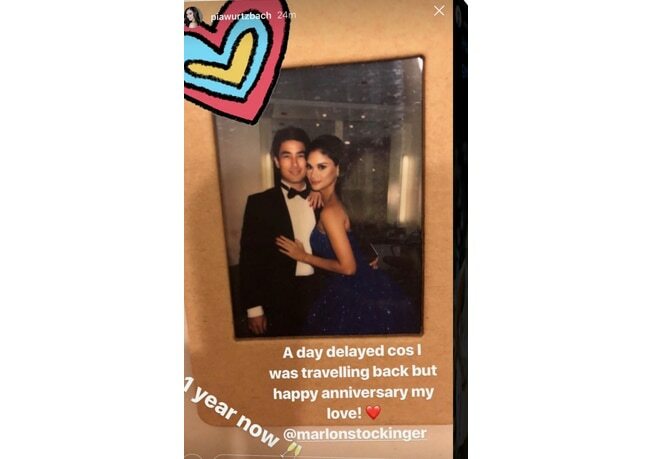 Miss Universe 2015 Pia Wurtzbach let her mushy side shine anew in her recent post about her boyfriend Marlon Stockinger. Pia took to her Instagram story to greet the racer-turned-actor on their first ever anniversary as a couple. Pia just finished her stint as a Miss Universe 2017 judge.